Go paperless. It’s not just an environmentally conscience trend anymore. We’re now neck-deep in the digital age. By now, your company is very good at handling your client’s personal, financial, medical, or other sensitive information. You are HIPPA compliant. You follow rules for confidentiality by using a certified document destruction company. But how are you dealing with hard drive destruction? Perhaps your company is moving locations or closing up shop. Maybe it’s time to upgrade those computers. It is the responsibility of your company to protect the information on the hard drives. You must get rid of it in an effective, safe manner. If sensitive information is not completely wiped out your company is liable. This can lead to lawsuits, hefty fines, and a marred reputation. Before you hand the job off to your CPA’s son’s friend, make sure you know the facts about digital data destruction. Have you seen the IT nerd on a cyber-crime television show cringe at the sight of magnets near a computer? He mumbles under his breath about the sophistication of bad guys. Well, don’t run to your local magnet store yet. First, you’ll have to remove the metal coating from the platter. The platter is the circular piece inside a hard drive that resembles a CD. You may have heard that simply formatting your hard drive does the trick. Unfortunately, that is not true. Formatting does not completely erase the information from a hard drive. According to Lifewire, a tech-made-easy website, formatting a hard drive does not remove data completely. Formatting makes files and information invisible, but not altogether gone. It will not be difficult for a beginning hacker to retrieve that information. No matter how thorough a data-wiping program is you cannot be 100% sure it wiped everything clean. Good hackers and forensic labs will find “ghosts” of the overwritten data. A study released by National Association for Information Destruction (NAID) in 2017 was disturbing. It found that 40% of devices resold contained personally identifiable information (PII). The PII included user name and passwords, tax details, and credit card information. The reason for concern: the devices had received some type of data erasure. Many companies attempt to delete or destroy data themselves. By using the techniques above they believe they can save money. In the long run, this may actually be more expensive. IBM sponsored a data breach study conducted by the Ponemon Institute in 2017. The study estimated the monetary average per stolen record. It reported that the average cost to a company for each lost or stolen record is $141. Don’t leave things to chance. There is one certain method to make sure a hard drive’s data is unrecoverable. It is through complete hard drive destruction. Does your company currently need to get rid of your computer hard drives? The best way to protect your customer’s personal information is to make sure the data is gone forever. The method used must be compliant with privacy regulations. This is important for protecting your company from data theft. 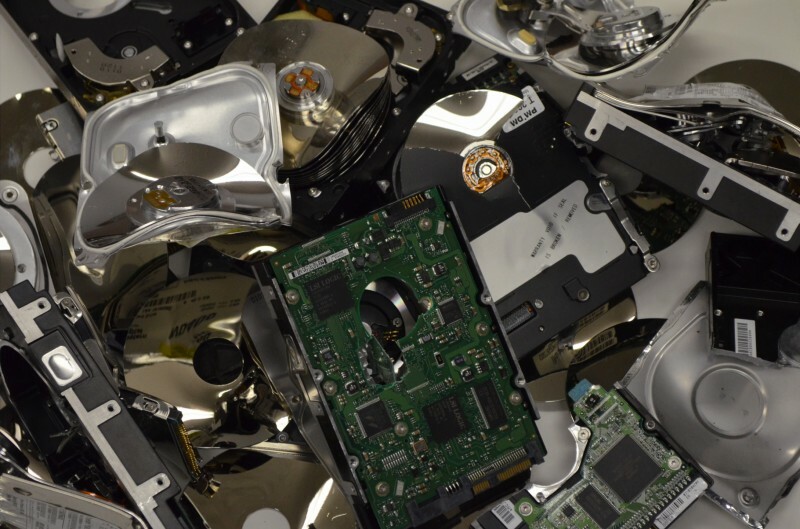 Fort Wayne’s Federal Records Management and Shredding has a guaranteed hard drive destruction process that can destroy every type and size of hard drive rendering it useless. 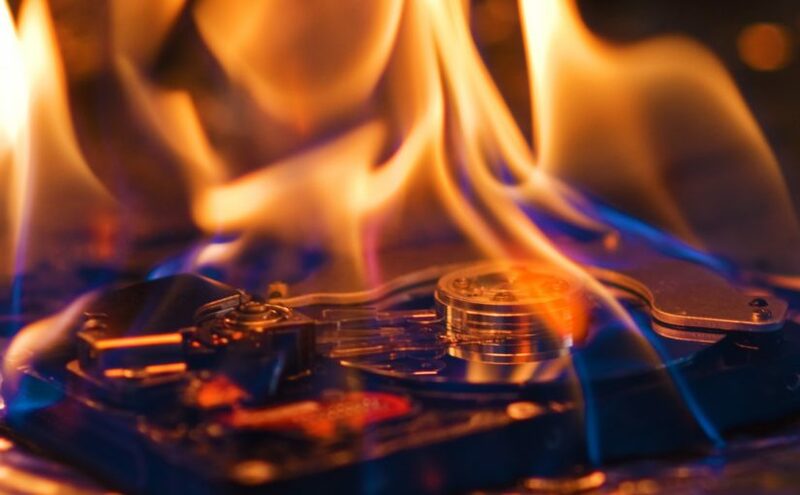 Our experienced and certified staff will destroy your hard drives at our local AAA-certified information destruction facility. Contact us today to learn more about our services. Protect your business. Protect your customers. Protect your peace of mind.